Writing a business plan can be gruelling: it requires a ton of planning and research and it can seem like a pointless exercise, but writing a business plan will help you determine if you’re ready to start your business and if your business will actually work. It’s basically your roadmap to success. Once your business plan is complete, it covers every aspect of the business from who your customers are and how you plan to attract them, to how you will run your business’ daily operations. Basically, it’s not just something you throw together to attract financing, it’s your business’ bible. Once your business plan is complete, it covers every aspect of the business from who your customers are and how you plan to attract them, to how you will run your business’ daily operations. Basically, it’s not just something you throw together to attract financing, it’s your business’ bible. Executive summary: A brief summary that provides an overview of the entire plan and highlights key aspects. Your summary is where you set the tone and grab your reader’s attention. Company overview: A list of your company details to date (including key actions that have taken place so far). Industry Analysis: An analysis of your market’s current state and growth potential for your business type (for you and your competitors). Customer Analysis: A breakdown of who your target audience is and what they want. Competitive Analysis: An investigation into your direct competitors including potential threats from non-direct competitors or products. Competitive Advantages: An overview of your niche: why customers will choose you over your competition, what you’re doing differently that makes your product or company more attractive than your competitors. Sales and Marketing Plan: A discussion of your marketing strategy that details how you will attract, service, and maintain your customers. 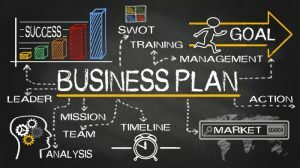 Operations Plan: A detailed outline of how you plan to run your business, including the hours you’ll need to work, policies and procedures, and key partners or employees. Financial Plan: A detailed rundown on finances from start-up funds and where they’re coming from to projected revenue and expenses (up to five years). Exit Strategy: An outline of your venture’s end goal: Do you want to build the company up so you can sell it? If so, who do you want to sell it to? When would you sell it? For how much? If you do not plan on selling the business in the end, do you simply want to create a job for yourself, and then when the time comes just sell off the assets you have and wind down the business? What is your succession plan? Writing a business plan forces you to look closely at what you’re getting yourself into. While some people use it as an opportunity to sugar coat the idea to secure funding, creating an honest business plan will tell you if your idea is feasible. You’re better off spending the time and money on a business plan and learning it’s not worth it, than investing in a business and watching it go belly up. Take the time to honestly evaluate your business idea, do the research to properly support your assumptions, seek good advice from experts, and gain a thorough understanding of every aspect of the business to set yourself up for success. Will running this business fit in with your family goals? How about your recreational goals? Getting into business can be a rewarding experience if it’s well thought out, but it can also be a complete disaster with serious repercussions if it’s entered into haphazardly. To set yourself up for success, ensure that your goals (in business and in life) are in alignment. Staying grounded and positive will give you the energy to run a business while also allowing you to live the life you really want to live. Dave Sinclair is the President of Business Transitions Plus and focuses on transition planning, and business/ strategic planning. Using an approach that takes care of not only the business but the personal aspects of running a business we move our clients towards a continual strategic planning mindset creating deeper value in their organizations, and helping our clients lead their ideal life.